Donald Sterling Banned for Life! You would think that racially charged comments and/or actions would be minimal within high profile organizations such as the NBA. However, with the recent scandal involving Clippers owner, Donald Sterling, it is highly evident that this is not the case. For those who aren’t aware, a couple of recordings in which Sterling spoke of his disgust for black people, surfaced and were made public. 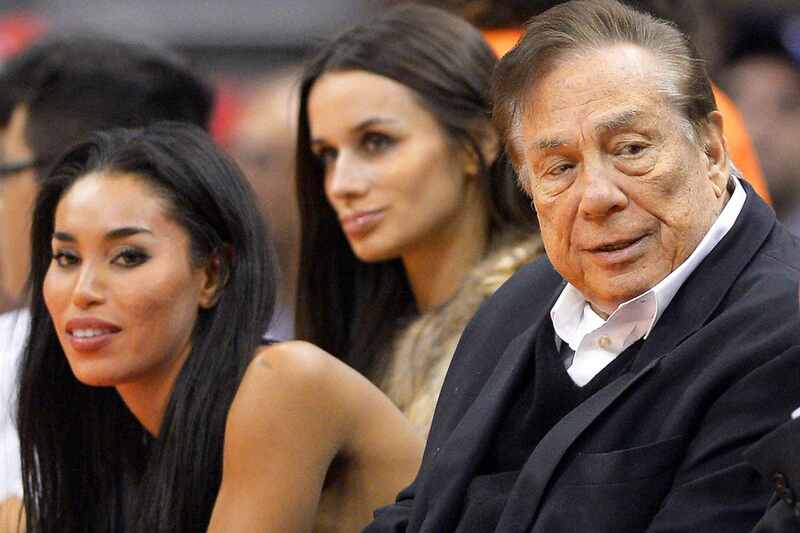 In the most recent audio recording between Sterling and his multi-ethnic girlfriend (pictured above), he explained how he was disappointed that she didn’t remove all of her Black Instagram followers and that he didn’t want her bringing Black people to games. Today, Adam Silver (the new NBA commissioner), announced that he is banning Donald Sterling for life from any association with the Clippers and the entire NBA organization. He is also being fined $2.5 million and will be urged to sell the team. This is a huge decision, but many believe it is more than fair, especially since the NBA includes a large number of Black players, families, employees and coaches. As a multi-ethnic female, I am proud that the right decision was made and it was made clear that such hate and discrimination will not be tolerated. Such behavior goes beyond the game and it effects many people, not just NBA players and coaches. Pregnancy is Beautiful on Ciara!!! Check Out Her W Magazine Shoot!